Eyebrow piercings have become extremely popular in the last few years due to their prevalence in mainstream society, in addition to the fact that they are relatively painless and easy to take care of and heal quickly. The ideal jewellery for an initial eyebrow piercing is a small 1.2mm or 16 gauge curved barbell with a small bit of extra length to compensate for any minor swelling and to facilitate the cleaning process. Any part of the eyebrow can be pierced, however the closer to the outer edge of the eyebrow, the less the swelling and the faster the healing. Eyebrows can also be pierced horizontally; however this can increase the likelihood of the piercing rejecting, or growing out at some stage. 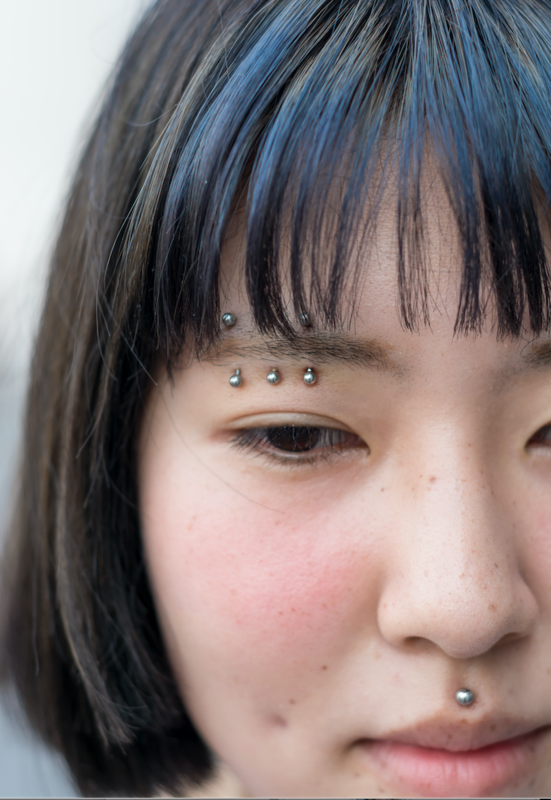 The pain factor for eyebrow piercings is the very minimal, not dissimilar to an earlobe piercing, making them a popular first piercing for many people. 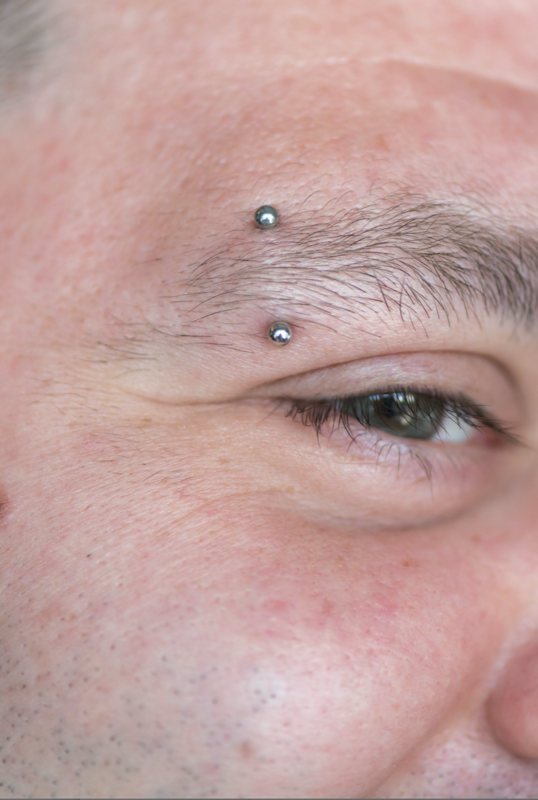 The healing time for eyebrow piercings take an average of six to eight weeks, with a bit of minor swelling for the first one to two weeks. After the piercing is healed there are many jewellery options available, including ball closure rings and circular barbells, as well as various attachments including spikes and jewels etc. 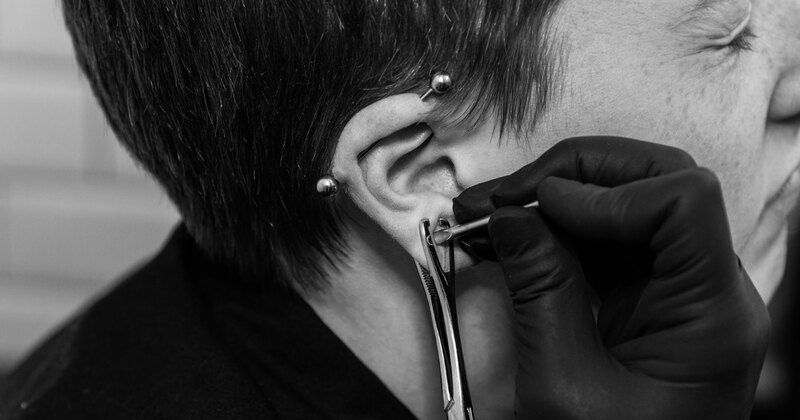 The cleaning process for this piercing is very simple, just involving a mild saline solution applied to a cotton bud and gently removing any dry organic matter from around the top and bottom of the piercing and then a brief soak at the openings. Always make sure to wash your hands before cleaning your piercing and anytime you are having a shower let the hot water thoroughly rinse piercing to wash away and products such as soap or shampoo.